I am working on a new program for the beginning of the coming year. I have been working on this for a while, months really. I am caught between what I did before that didn’t work, what might work and what else is working out there in the world. The process has me frozen in my tracks. What is the problem? I asked myself. It’s an old visitor I recognize well. It’s the one that says I need to have this all figured out. That whatever I develop has to be a certain way. Impactful. Different than the rest. That feels like a lot of pressure. The kind that takes me down a dead-end road. It is a familiar story. Not just for me. My clients. Often during our first conversations, they tell me about the pressure. Not only do they have to make money, but it needs to be something that they love to do. This message has been drilled into them for a long time. So rather than getting excited about the possibilities, they feel lost. That kind of environment is like living in a closet. There isn’t enough room. So here’s what I want to say to you. You don’t have to find the perfect job that fits for you. You don’t need to satisfy some other person’s expectations of what you should do. I read an article today about holding space by Heather Plett. It is called What it means to “hold space” for people, plus eight tips on how to do it well. The ideas that she learned through the experience of her dying mother are also profound for the confusion of career change. One tip Heather Plett shared was about only giving so much information at a time. The confusion of looking at the world of work is trying to figure it out all at once. It’s too much for our brains. And feelings. I agree with Heather that it can make us feel incompetent. I like to think of the work I do in phases. Mixing up the phases leads to inner turmoil. 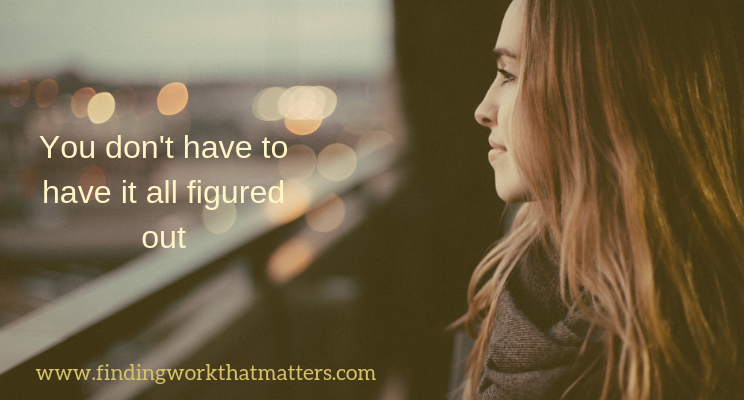 What we forget in the muddiness when we don’t know what to do is that it is okay to not have it all figured out. It doesn’t mean that we won’t. Hate your job? What you need to do first…. Don’t miss another article. Sign up for the newsletter and read about all about it first! In his book How to Find Fulfilling Work, Roman Krznaric shares powerful ideas on how to maneuver your way through the labyrinth of thinking about work. What are the core elements of a fulfilling career? How do we go about changing our career and making the best possible decisions along the way? In thinking about the tyranny of options, he says that we are so worried about making a bad choice that we make none at all. To narrow the choices, he suggests thinking more deeply about the core elements of a fulfilling career. And then develop ways to test them out. Which is most important? There is no simple answer. Regarding satisfaction at work, he shows a study of ethical work where he uses the term doing “good work.” The definition is doing “quality work that benefits the broader society.” Those doing good work experienced much higher levels of job satisfaction. After Krznaric guides us through the 5 motivating factors, he has 3 activities to help brainstorm careers. The first is called The Map of Choices, a picture compilation of all of the work you have done so far and what shaped the path. He asks several questions from the exercise, including what 2 motivations do you want to shape your career. The second activity he calls Imaginary Lives, he encourages us to imagine 5 parallel universes where we have a whole year to pursue 5 different jobs. This is the playful and expansive part of the consideration. The last activity is creating a Personal Job Advertisement, where you write down who you are and what you care about and anything else important to you. Once it is complete, he suggests you send it to 10 people who you know and ask them from the information what they would see you doing in a career. In taking all of this information out into the real world, Krznaric has a section in his book called Act First, Reflect Later. Since we don’t know what will really work for us, he talks about doing experiential learning. Bring it all to life! An idea he shares is taking a ‘radical sabbatical,’ or a ‘job holiday’ trying out a new career. He also talks about conversational research, talking to people who are doing the work. The third way to test out careers he calls a branching project, a temporary assignment by taking a course, doing evening work or volunteering or job shadowing. Through doing experimental projects, we are more likely to find what really works for us. The idea is to find work that gives us flow. 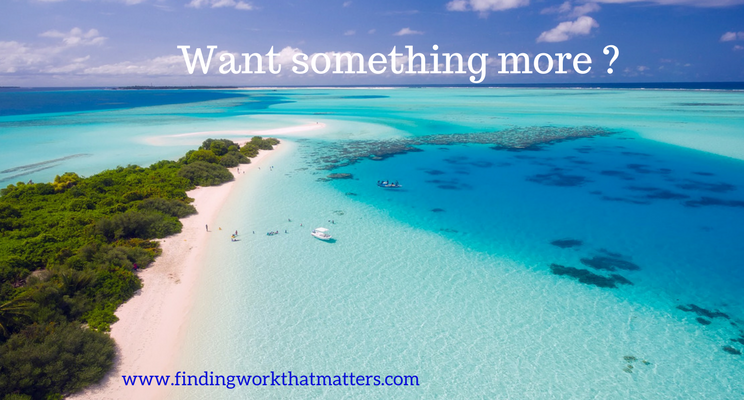 How to Find Fulfilling Work has some compelling ideas, entertaining catch phrases and is both practical and inspirational in trying to move out of the confusion about what to do when you are in the midst of career confusion. Don't miss another article. Sign up here. What is a careergasm and how can I get one? 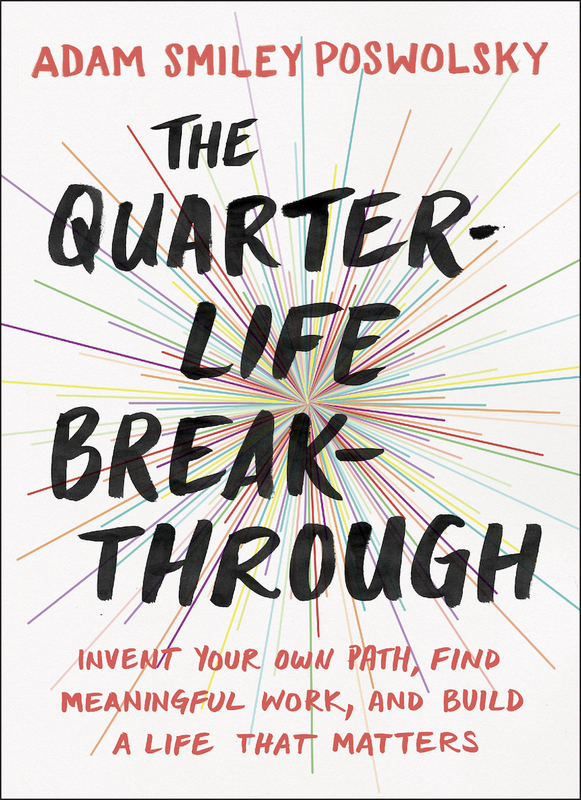 In his book aimed at Millenials, Poswolsky explores how to find meaning in the workplace. Not a Millenial? Don't let that stop you from checking it out. He calls Millenials the Purpose Generation and quotes a Net Impact study showing that more than half of millenials would take a 15 percent pay cut to do work for an organization that matches their values. He goes on to say that Gen-Xers and Baby Boomers also rank meaning and purpose as top factors for workplace engagement. 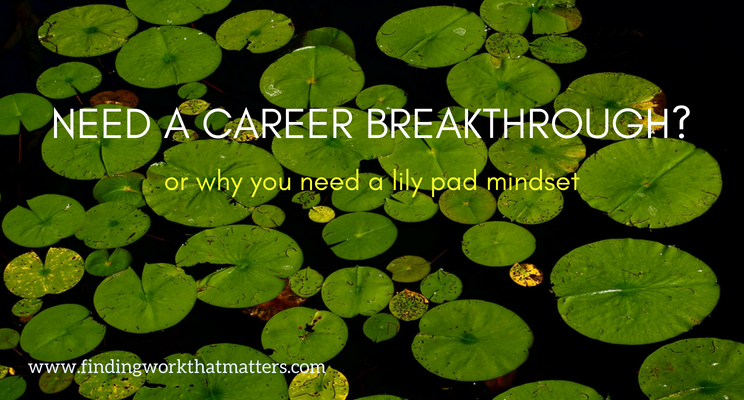 Poswolsky encourages us to look at careers through a lily pad career mindset where you jump into a direction that makes sense to you based on your purpose. What we do for work will change over time. Because we change. To find your purpose, he talks about career experimentation, learning about your talents, paying attention to what you feel and not being afraid to try new things. Throughout the book, Poswolsky gives compelling stories of people and how they found their purpose. One of the contributors believes rather than turning our passions into a business, that we serve the people we love. The emphasis then is a true engagement. In another example, Poswolsky talks about a woman artist acquired a full time job where she was pursuing her passions. I was especially inspired by this part of the book, where we see our careers as dynamic and rich with fascinating possibilities. Work doesn't have to be like being on a hamster wheel. Sarah Vermunt can help you with that. In her 2017 book, Careergasm: Find Your Way to Feel-Good Work, she inspires us to get excited about our work, in a 'gasm' way. There is nothing like a good book to get me fired up! So many great ideas. Inspiration. A book can change a life. So I decided to see what is out there to help us find a good work fit. In the next 3 blog postings, I am going to review 3 awesome books that crossed my path. Each has a different style and approach but are full of great ways of looking at the problem. From fear to meaning to oh-so-many options, the authors have delivered some meaty ways to get you into work that matters. Sarah Vermunt begins with the definition. In this entertaining and refreshing book, Vermunt gives valuable tips and thoughts to get you on your career path. From helping you to look for the clues of what you want to fear and resistance, it is a great tool for navigating through career shifts. Vermunt encourages us to activate our inner toddler to connect with what we are passionate about. She gives some inspiring examples of people who are leaning into their obsessions and fascinations and how that has taken them down a path they might not have expected. Two sections of the book stand out in terms of what stops us from moving forward – The Resistance and Fear. “We often resist what we desire most.” Resistance, she explains, is trying to spare discomfort. Careergasm is a fun read, full of motivation and great thoughts to get sh*t done. Don't miss another update. Sign up here. What a whirlwind of talent and determination we have seen over the last couple weeks of the Winter Olympics. As I watched the performance, I thought about what athletes can teach us about the world of work. One of the most poignant moments was from the Men’s Freestyle Ski Half Pipe. As I watched the athlete pick himself up after his disastrous fall and wind his way down the mountain, I got a glimpse into his life. I have no doubt he was earned the privilege of being at the Olympics, that he had worked very hard, that he had studied his strengths, weaknesses, skills, mindset, fears, commitment, internal resolve and that he was very invested in winning. I wondered what his coach would say to him at the bottom of the hill. To me the experience was so immense that it would be hard to capture it in words. There was nothing that could alleviate that moment of disappointment. All of the work, all of the dreams, wrapped up on that hill. What I also recognized was that he was upright. 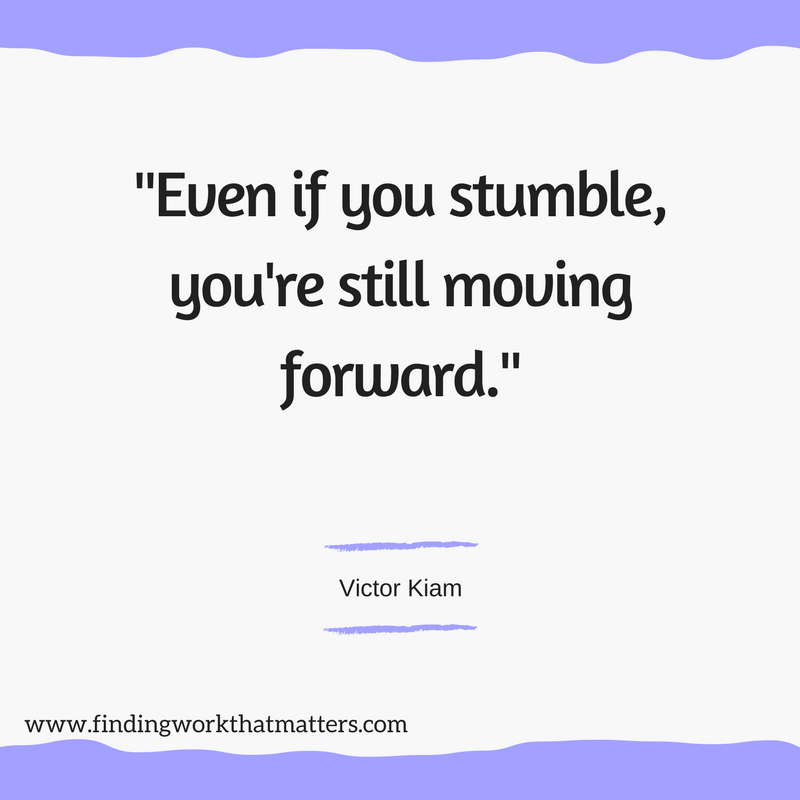 He was moving forward into his life. With all the pain he was experiencing, he was more than this experience of failure. Even though he was trained for making mistakes. This I believe is true for all the athletes. The gold medal winners and the ones who never made it onto the podium. I can see through my own career that I share some of the struggles and wins of those athletes. From the start gate to the finish line, we get to see the coaches that have been there every step of the way. From the sidelines we see the parents, family and friends waving flags and signs. Back home, there is a whole contingent of people who impacted that athlete’s ability to be there – sponsors, health care practitioners, mental performance coaches, personal trainers, nutritionists, etc. Behind each athlete is a team of professionals. They are all invested in helping the athlete be their best. If I look back at my own life, I can see the team that was behind me. Friends, family, co-workers and mentors helped me in my career in a myriad of ways. Encouraging, helping me stretch beyond my ideas of what I could be. What I do differently now is seek out my helpers. Deliberately. When I am struggling with an issue, I try to find someone who does it best. My mentors I meet through books and webinars and in person. My challenge is to get clear about exactly what it is that I need. Then when I go out there and ask, I am more likely to get closer to my goals. What I hope for is that through all of my practice, when the time comes, I will be ready to do my best performance. In whatever I do. What I noticed from watching the Olympics is that mistakes are made. Injuries abound. I notice that where they can, the athletes pick themselves up and continue their program. That is how they are trained. Mistakes are a big part of the training. I am not very good at making mistakes. I don’t easily take on the attitude that the best way to learn something is by making a mistake. I see the flaw in my thinking. Because mistakes are a part of life. And they need to go into the equation of growing and learning. I see that when I stumble for words during a presentation or talk about my struggles, this where the audience often connects. It is through our humanness, especially our mistakes, that galvanizes us to others. As for me making mistakes, I still have a lot to learn. This is how we get to Carnegie Hall. This is how we get to be at the top of our game. As an Extravert, I am reluctant to write out the responses to possible interview questions even though it is what I tell others. I get energized by thinking on my feet. But that doesn’t always work. And in fact, not practicing has got me into plenty of trouble. Olympic athletes get to win their medals because they invest a lot of hours into their sport, not just engaged in it but also strength building and visualizing and working out the kinks with their coaches. When I think of my career now, I know that to be my best I need to change what I am doing. I ponder. What really works? Is there a more effective way of doing something? Athletes often use visualization techniques as a regular part of their training. Whether it is through guided imagery or mental rehearsal or to create a sense of calm, this enhances skills learned through physical practice. When I did my first solo trip to Mexico, I went to a region where I had been previously. I could imagine navigating the entire transportation system of bus, taxi and ferry. I knew where there would be the trouble spots and I imagined what I needed to do. How this would help with our work! Imagining how we would deliver a presentation, what it takes internally to feel competent and clear, and how we want to engage with our audience. I can use this tool when I consider a future career. What am I doing on a day-to-day basis? How would I like my work to be constructed? When I watched the two top contenders in the Ice Dancing competition, their performances were vastly different. They got to where they are because of their uniqueness. Where was the magic? Each performance was distinctive to that pair. Their signature was throughout each movement. They had crafted out their own music and movements even though they had to follow specific requirements. When I think of my own work, I have been exposed to the same career theories, assessments and studied a variety of approaches as other colleagues. It begins with a question. What makes me feel alive? At the root of the question is where my strengths lie. I look at what sparks me the most and I will naturally want to go in that direction. I will be inspired to read the books and talk to influencers who spark me. I will be motivated to learn more. The result is doing and being my best.